The sad eyes stared up at me, some jumped up at the edge of their cages, as if trying to get my attention. Others just sat on the ground, looking helpless, as though they had given up a long time ago. But what hit me hardest was the silence. The absence of noise didn’t register at first. Then I suddenly realized, what should have been a cacophony of barking, actually sounded more like quiet coughing. Why weren’t these dogs barking? Then I noticed the scars. The answer was written in the jagged lines on their necks. The puppy mill owner had cut out their vocal chords. Several weeks have passed now since my trip to the mill liquidation, and I can’t seem to shake the feeling of sadness I took away that day. It would be impossible for you to understand what one of these auctions for the closing of a puppy mill is really like without taking you along, but let me try to paint you a picture. This one was in Princeton, Missouri, a small town near the Missouri-Iowa state line about two hours northeast of Kansas City. On the drive, I braced myself for despair, but nothing could prepare me for what I saw when I got there. More than six hundred dogs were caged up in outdoor pens with no shelter over their heads. This was one of the reasons the Department of Agriculture was shutting down the operation. The dogs were living in appalling conditions. Last year’s Animal Care Facilities Act finally started the crackdown on mills like this one. Thanks to the new law, breeders are required to protect their animals from the elements. These dogs were separated, packed into pens based on their breed and their size. At one end you had the Rottweilers, at the other end the Chiuauas. In between, it was like a dog encyclopedia, with almost every breed you could imagine. Some were just puppies, others had been there for years, turning out litter after litter. 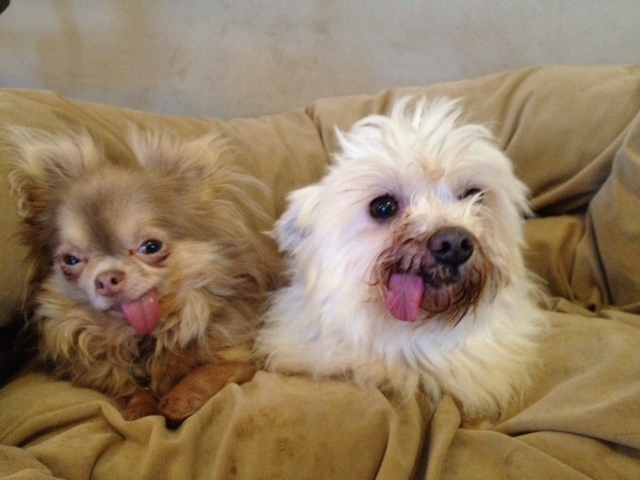 And each of these dogs had lived their whole life in the outdoor cages of this puppy mill. With treatment worse than inmates in a third world country, these dogs were penned up with no access to fresh water and were being fed a diet of hay (much cheaper than nutritious dog food). One male Standard Poodle, which I fell for immediately, had an ear infection so bad that my vet says he might never hear again. Of course, this was the first time this dog had ever been to the vet. 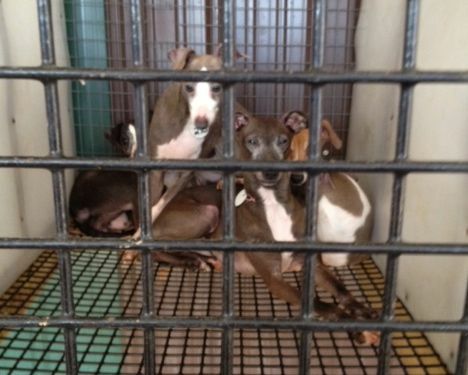 None of these puppy mill prisoners had been given vaccinations or medical care of any kind. When I opened the mouths of the dogs, I discovered yet another atrocity. Many of them were toothless. Their teeth pulled by a mill owner who didn’t want them nipping at each other and causing potential damage to his property. Those lucky enough to keep their teeth often had them filed down to nubs for the same reason. At the auction that day, some of these purebreds were auctioned off for thousands of dollars, while others, on the verge of being “put down” on the spot, went for a dollar. If I had a dollar from each of you, think of all of the prisoners I could have busted out that Saturday. Instead, I carefully added up the money I could afford to spend saving lives and started picking out as many dollar dogs and really needy cases as I could. An old-as-dirt Italian Greyhound with only one testicle: $1. A fuzzy fellow I call Crunchy who reminded me of one of my babies waiting for me on a comfy dog bed back home: $1. These were the dogs nobody else wanted. Because, keep in mind, I wasn’t the only one bidding. The place was crawling with dog brokers. This is the profession that supports puppy mills by buying their dogs, then turning around and selling them to legitimate-looking pet stores. That’s right … the stores you see in strip malls around town. The puppies behind the glass weren’t born in the store. They came from brokers who bought them at mills just like this one. But brokers don’t buy dollar dogs. And if I didn’t, these dogs didn’t have a chance. 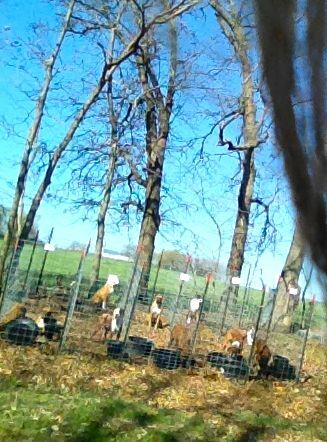 That day I tried to save as many old, suffering, pregnant and pitiful dogs as I could. Imagine the A-Team, busting into this prison for dogs and liberating one after the next. Packed into kennels in the back of my car, headed down the road toward freedom and a better life, these dogs had no idea what was ahead. They had never known the kindness of humans. They were treated like a cash crop then sold for a buck. Most likely, you found your way to this blog because of Facebook. No doubt Facebook has changed your life and has had major impact on how we connect around the world … from playing a part in the overthrowing of a government in Egypt to helping Grandma keep up with all the latest developments of her grandkids in other states. But have you considered the impact it has had on the lives of dogs? 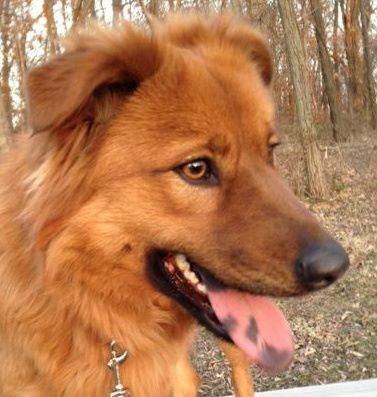 Consider the amount of time it takes to get a dog adopted these days with the help of Facebook. One of the first things I do when I come into contact with a dog that needs a home is to pull out my phone and snap a picture … the cuter the better because my Facebook fans are suckers for a photogenic pooch! It only takes seconds to upload the picture and *bam* a dog who (sometimes desperately) needs a home has suddenly bounded onto the screens of more than a thousand people. Then, with a simple click, some of those thousands will share the pooch’s pic with more and before you know it, that pup has found his people. I can’t speak to life pre-Facebook. My rescue isn’t that old. About the time I started up MWAR, Facebook was taking off, so I’ve been able to grow the rescue as Facebook has grown. But I’ve seen its power first hand. Take Lana, for example. I documented this Lhasa’s pregnancy on FB and within a week I had 26 applications from people hoping to adopt. All four of Lana’s puppies had found homes BEFORE they were even born. The stories are countless: the 4 lab puppies from the KC pound that were scheduled to be put down … adopted within a week thanks to FB; the 4 standard poodles who all found homes within a few hours because of FB; the dozens of dogs who I don’t even have time to get to the vet before someone in FB land has seen them and put in an adoption application. And it’s not just the dogs … it’s the very lifeblood of this rescue that depends on FB. Hit with a $1200 tax bill that I wasn’t expecting, I turned to Facebook to vent. I didn’t even ask for donations, but within 12 hours, people like you had donated over $1200 to keep the rescue running. Calling Facebook a phenomenon in animal adoption is an understatement. FB is the most important tool to getting dogs adopted. MWAR’s online community influences every part of the rescue. More than 90% of our funding comes from what I would call our FB friends and more than 50% of our dogs are adopted to someone within our Facebook family. So, if there is one thing you can do to help more pets in need find the perfect fit … its to get back on Facebook and spread the word. Whether or not you’re a Whole Foods junkie or a religious reader of labels, you probably think about what kind of food you’re feeding yourself. You may pick organic over other offerings. You probably know that whole grain is better than super processed. But are you using this knowledge to it’s fullest potential? Do you apply what you know about nutrition to your furry friends’ diet? A vet once told me that feeding your dog any of the popular, inexpensive brands of dog food off the shelf of the grocery store was the same as feeding your dog McDonald’s every day. Now most of us wouldn’t try to survive on McDonald’s because we know that it’s just not that healthy … even when you don’t supersize. So are you feeding the equivalent of McDonald’s to your dog? 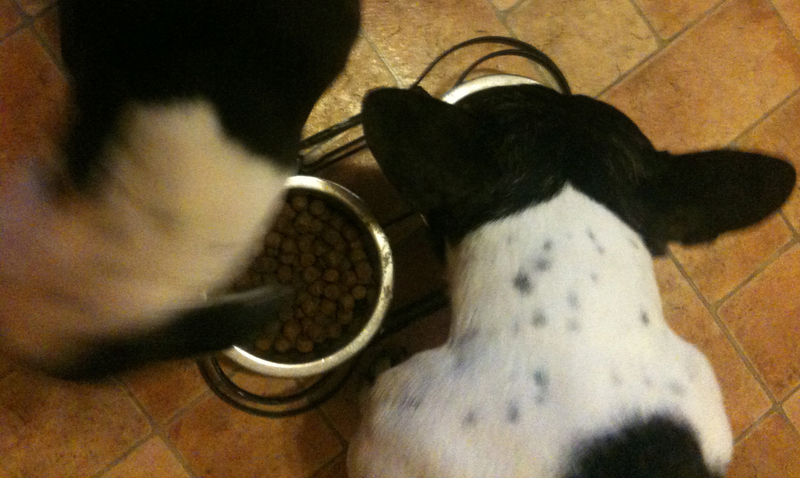 To find out more, you can rate your dog food. Here’s a link to a handy chart that gives a grade (just like in school) to your dog food. Warning: you’re going to need to have the bag handy because you have to go through the ingredients. You’ll also find a list of popular brands and their grades, so if you’re inspired to make a switch from “fast food” to “whole food” you can find some options that make the grade. Clarissa celebrates her 1st birthday and helps Midwest Animal ResQ too! My idea was far from original. I’ve been invited (along with my kids) to a handful of charitable birthday parties since I became a mom. We’ve donated everything from boxes of diapers for needy kids to cans of food for local food pantries. I’d always kicked around the idea of turning one of my kid’s parties into a charitable event. And then we had to put our family dog of 7 years to sleep. Heartbroken, I decided that one way to help me heal would be to do something good for Erin’s Midwest Animal ResQ. Find someone with a birthday, graduation, anniversary or anything to celebrate. Invite some friends. Make sure to include an explanation on the invite, letting them know not to bring gifts, but that you’re gladly accepting donations. In our case, I got a list of needs from Erin, including everything from kennels and paper towels to gas and pet store gift cards. I included the list of needs and a link to the website in the invitation. Most of our guests ended up making donations online in my daughter’s honor. Have some fun at the party! We did it up with a doggy craft project, dog ballons and doghouse plates. But the icing on the cake was literally the icing on the (cup)cakes. I used some thick chocolate frosting and piped it onto the top of the cupcakes in the form of something you’d typically be cleaning up out of your backyard. It was a huge hit with the 3 and 4 year olds! At the end of the day, our guests helped make a difference in the lives of some of Erin’s “fur babies.” Erin sent each of them thank you’s with touching stories and pictures letting the donors know how their money had been put to use. Plus, the guests had the added bonus that the donations were tax deductible. And we got to say goodbye to our family dog in a special way. Of course, you can do this for any charity that speaks to you, but I recommend Erin’s!